On Wednesday 10 January 2018, The Duke of Cambridge will join staff, volunteers, and supporters of the Campaign Against Living Miserably (CALM), a charity dedicated to preventing male suicide, to lend his support to the Best Man Project. 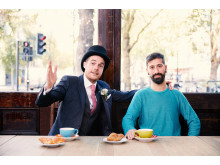 As well as meeting staff, volunteers and supporters from CALM, The Duke will join a group of men including former professional footballer and pundit Rio Ferdinand, musician Loyle Carner, and radio and TV presenter Roman Kemp, who will be filming Best Man Project videos in which they will discuss the importance of friendship and its role in mental wellbeing. The first of these short films will be launched exclusively by CALM on Friday 12 January 2018. 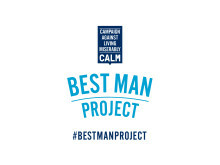 Follow the #BestManProject on social media and sign up at http://bit.ly/BestManProject to receive tips and advice on being a better mate every day, straight to your inbox. 46% of male respondents said they felt comfortable when a man they knew opened up to them, compared to 57% of female respondents (YouGov, 2017). 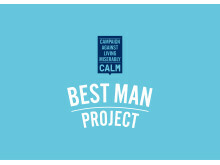 Founded in 2006, the Campaign Against Living Miserably (CALM) is an award-winning charity dedicated to preventing male suicide. 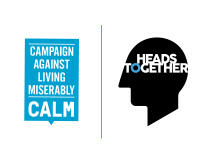 For more information visitthecalmzone.net.